Over the years there have been many different versions of indie boxes and once upon a time there was an Australian Indie Box. I have zero clue what actually happened to it but never fear! There is a brand new Indie Box on the market! Grace-full Nail Polish and Emily de Molly have joined forces and created The Indie Spectrum. At this stage The Indie Spectrum will be a bi-monthly box and will feature four polishes. The theme for this first box is Australian TV Shows. The polishes are created by Emily De Molly, Grace-full Nail Polish, MckFresh Nail Attire and Sayuri Nail Lacquer. Emily de Molly I Say, Arthur... is a taupe subtle holo with gold and copper flakes. This polish is inspired by the TV show Mother And Son. I have never seen the TV show but I am a big fan of the polish. I think the colour is fantastic and I love the added gold and copper flakes. The formula is awesome and is opaque in two coats. Grace-full Nail Polish No Nina Noooo! is a plum jelly filled with holo flakes. 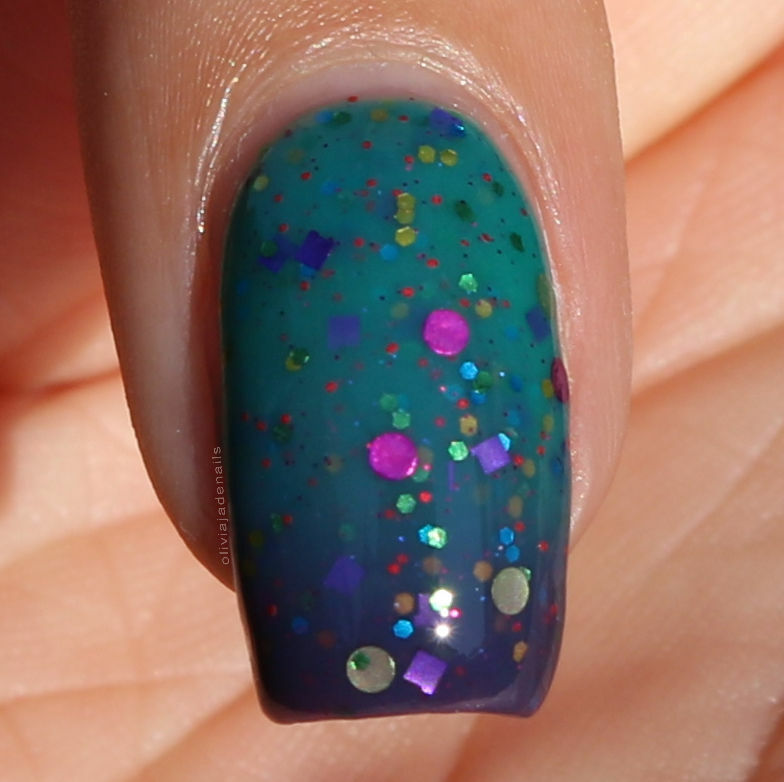 This polish is inspired by the TV show Offspring. Again, this is a TV show that I have never watched but I love the polish. There is so much depth and sparkle! It's one of those polish that you fall in love with as soon as you put it on. The formula is fantastic and applies evenly. My swatch shows two coats. MckFresh Nail Attire Heart Break High is a teal (warm) to purple (cold) thermal with a rainbow of glitters in different sizes and colours. This polish is inspired by the TV show Heart Break High. Now this TV show I have actually seen....a very very long time ago but I don't recall a single thing about it. This one transitions really well between its warm and cold states. The formula is easy to use and doesn't require any fishing for the glitters. It is quite sheer though. I used four coats for my swatch. Sayuri Nail Lacquer Look At Moi! is a bright magenta with strong sparks of aqua and scattered holo. This polish is inspired by the TV show Kath And Kim. This TV is one that I have seen bits and pieces of by not a whole episode - it's not really my type of show. 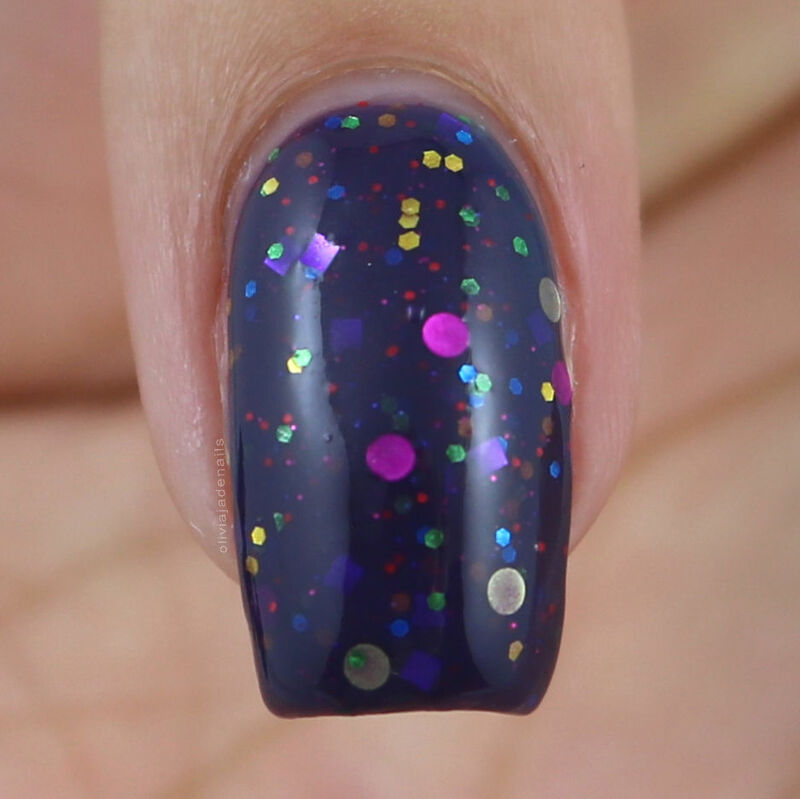 This polish though, is very me! I love it! 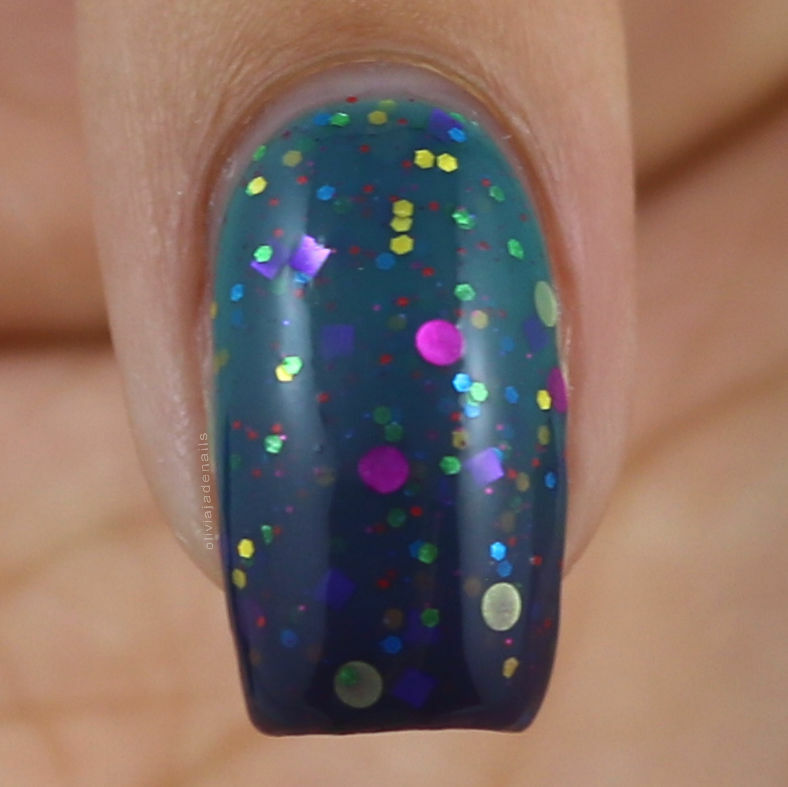 The colour is gorgeous and so is the shimmer and holo. The formula is great and applies evenly. I used three coats for my swatch (only because I found it a little bit see though at the tips in direct light for me). I am so excited about this first box! I think the girls have done an amazing job with each of their polishes. It's probably "wrong" to have favourites from this box but I do. My personal favourites are Look At Moi and No Nina Nooo! And I Say, Arthur... closely follows both of them. I definitely recommend grabbing this first box. The June 2018 Box will be available May 13th to May 20th from The Indie Spectrum. This box is only available in Australia (the first few boxes will only be available in Australia to ensure that everything runs smoothly before opening up to international orders). Make sure you follow The Indie Spectrum's Facebook Group and Instagram to keep up to date with the latest details on their boxes, sneak peeks of up coming themes, swatches and so much more! Are you going to be grabbing the very first Indie Spectrum Box?